Art this summer is primarily graphic arts as we are all learning how to use Pappy's laser cutting machine. 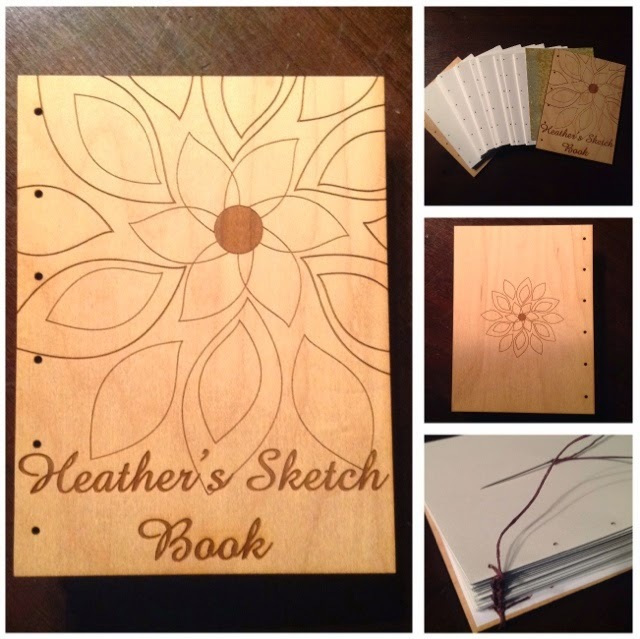 Heather designed each part of her sketch book which she is currently binding with unique stitches. This is her first attempt, done for herself. I'm so excited to see it come together. She planned each detail precisely. So pretty!! She's done a fantastic job! Absolutely beautiful! I've never seen a project like this. Love it! Wow, what a lovely sketch book. She did a wonderful job!